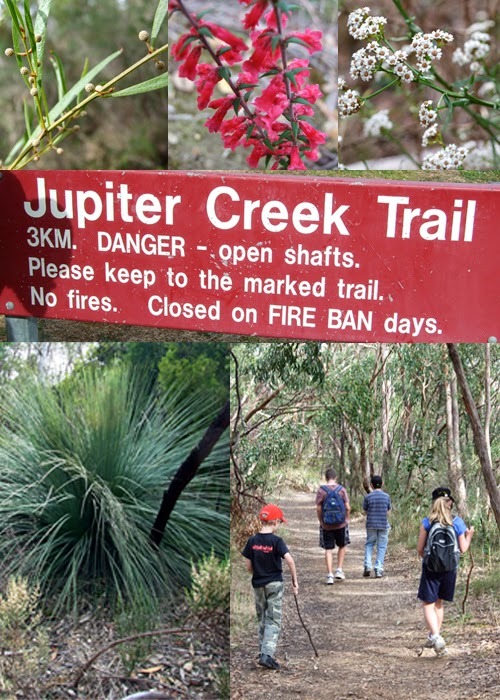 On Anzac Day we went for a bush walk at the Jupiter Creek gold mines. 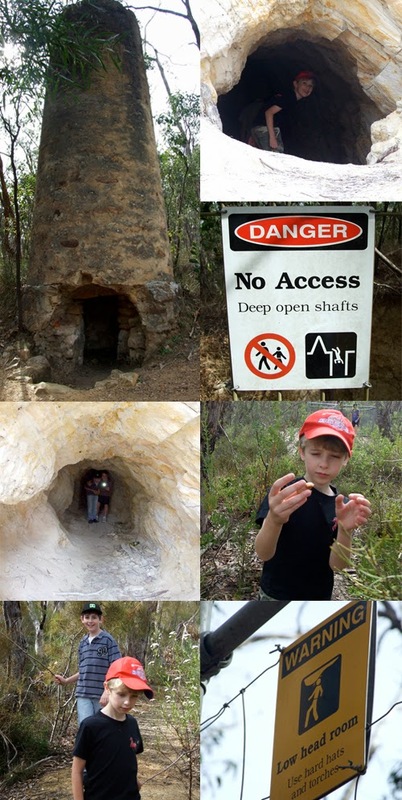 All the mine shafts are fenced off apart from one you can walk through which goes for about 60 metres. It would have been helpful if we had taken torches, something to remember next time. The boys did enjoy it especially picking up quartz and other interesting rocks along the way, unfortunately no gold nuggets. We finished with a picnic lunch and Anzac biscuits of course.